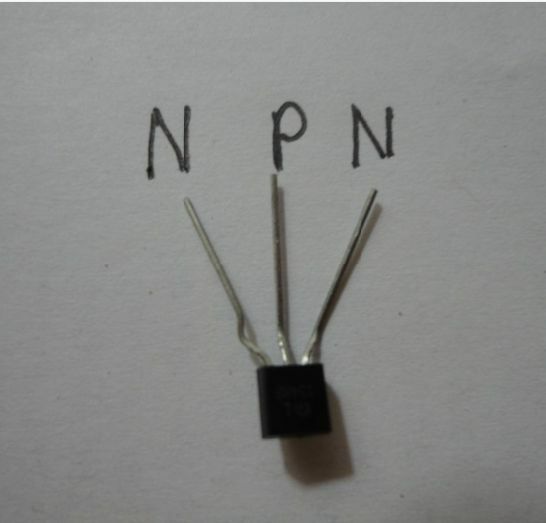 Let me tell you about the NPN transistor, it has the collector and emmitter as negative and the base as positive, which is just opposite in PNP transistors. 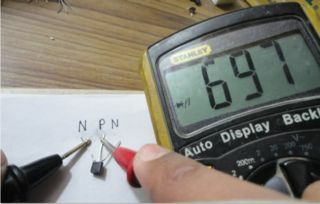 First, set the multimeter on the transistor testing mode. 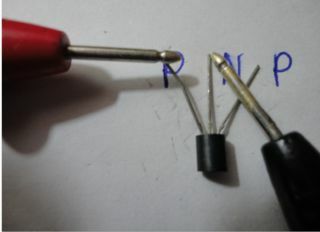 Now, take the leads of the multimeter and connect it to the leads of the transistors as shown in the picture. The negative lead to the negative terminal and positive lead to the positive terminal. 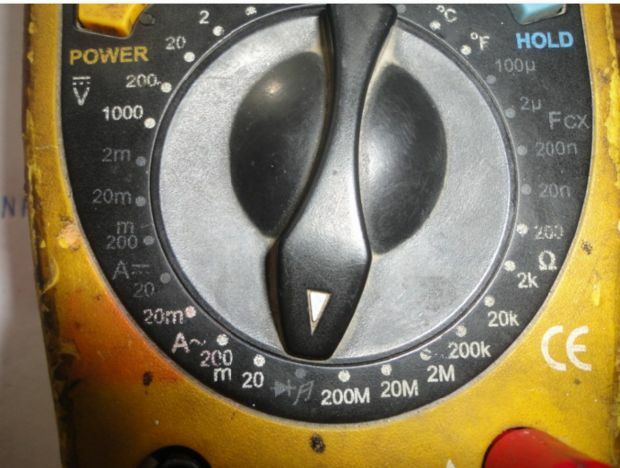 There will be a reading in the multimeter. 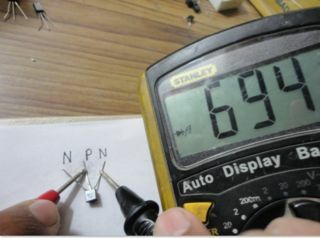 Now, connect the negative lead to the other negative terminal.Again the multimeter shows a reading. The reading in both the cases is almost equal. 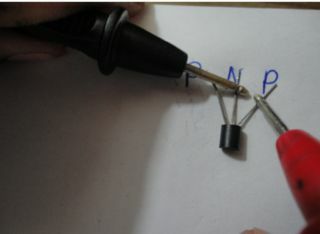 Now, connect the leads to both the negative terminals. 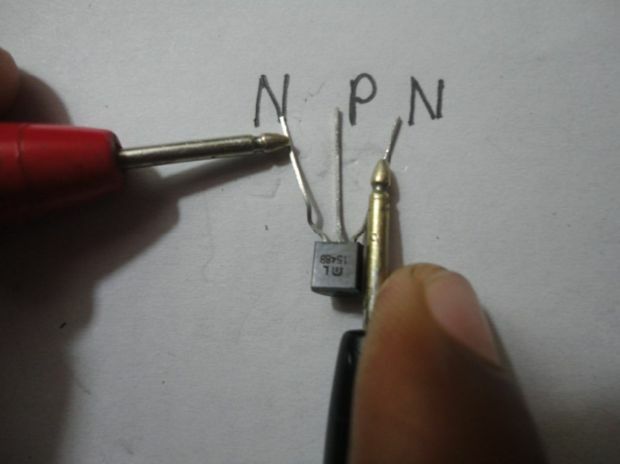 If the multimeter shows 1 as a reading then the transistor is just fine. 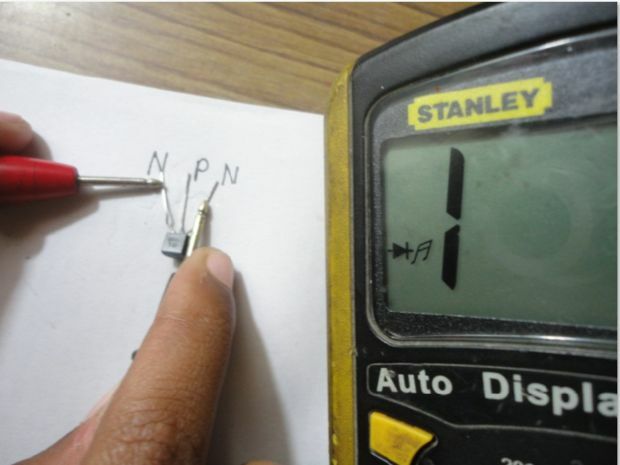 And if this is not the case then the multimeter produces a buzzing sound and shows 000 as a reading ,and the transistor is just too bad for use. 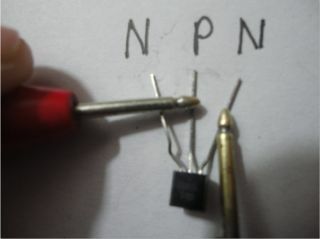 Well I did not have a PNP transistor so I am just giving the notes for testing it. 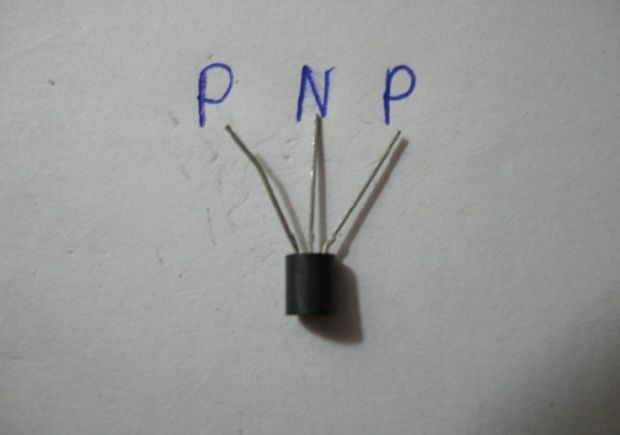 Its a NPN transistor and I just used to instruct you how to test a PNP transistor. All you have to do is to connect the leads to the oppsite terminals. 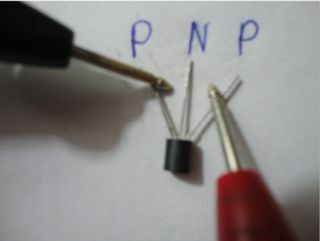 The PNP transistor will give a reading only when you connect the positive lead in the middle and the negative lead in the sides. 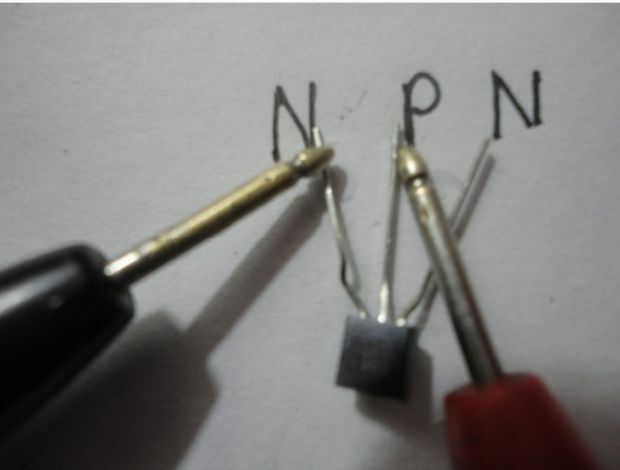 So, you can use the above tests to distinguish between a NPN and a PNP transistor.